The Colorado Water Conservation Board (CWCB) has launched a new website where residents across Colorado can quickly link to information about watering restrictions affecting their local community. The new website, www.COH2O.co, provides search features that allow visitors to quickly link to their water utility and learn of any local water restrictions that may be in place because of below-average precipitation and reservoir storage in many areas of Colorado. To learn more about drought, including local and state planning, water conservation, current statewide conditions, water supply projects, newsletters, and to access the drought planning toolbox, visit the CWCB Drought home page. For additional information, contact Taryn Finnessy, in the CWCB Water Supply Planning Section, at (303) 866-3441 x3231, or at taryn.finnessy@state.co.us. Colorado has more than its fair share of floods, flash floods, and wildfires. During the past week, in our effort to build a Weather-Ready Nation, we have presented information to you on how to stay safe and minimize property damage during flood and wildfire threats. Nearly half of all flash flood fatalities occur in vehicles. Do not drive through a flooded roadway. Instead “turn around...don’t drown”. The water may be much deeper than you think, because it may not be possible to see below the flood waters that the roadway has been washed away. One to two feet of water will carry away most vehicles. Additional flood safety information can be found at www.floodsafety.noaa.gov. If you live in a flood prone area, buying flood insurance is the best thing you can do to protect your home, your business, your family and your financial security. To find an insurance agent and obtain other flood insurance information, go to FEMA’s national flood insurance program web site at www.floodsmart.gov. As a reminder there is generally a 30-day waiting period from the time a flood insurance policy is purchased to when it goes into effect. This article provided by Colorado National Weather Service. Weather projections show a cold front will be moving in around 6 p.m. tonight and should see snow showers starting between 6 - 9 p.m. this evening. Snow Accumulation: Total snow accumulation of 5-10". 3-6" tonight through the morning and another 2-4" tomorrow. Winds: Northerly winds 10-25 MPH with gusts up to 25-30 MPH. Visibility: Could be 1/4 mile or less at times. The storm should be clearing out of this area around 6 p.m. tomorrow night. Snow Accumulation: Total snow accumulation of 8-14" primarily east of a line from Greeley to Elbert County, with a total of 4-7" west of this line. Winds: Northerly winds 20-30 MPH with gusts up to 35-40 MPH. Visibility: Could be 1/4 mile or less at time due to blowing and driving snow. The storm should be clearing out of the Northeast region in the late evening hour tomorrow night. Snow Accumulation: Total snow accumulation along the Palmer Divide / Castle Rock area of 4-8" going east toward Limon total accumulation of 6-10". Winds: Northerly winds 20-30 MPH with gusts up to 35 MPH. The storm should be clearing out of the Palmer Divide area late afternoon or in the early evening hours tomorrow. Snow Accumulation: Total snow accumulation of 6-11". The storm should be clearing out of this area around 6:00 p.m. tomorrow night. A public memorial service for Tom Clements is set for Monday, March 25, 2013 at 10 a.m. at New Life Church, 11025 Voyager Parkway, Colorado Springs. A private funeral is set for Sunday. Colorado Emergency Management Association (CEMA) has partnered with the Denver Nuggets to provide a night for First Responders, Emergency Managers and related agencies. Discounted tickets and fun at the Pepsi Center will take place on Thursday, April 4th at 7 p.m. against the mavericks. Download the Nuggets flyer or visit www.nuggetstix.com/0404cema. The Office of Emergency Management is pleased to announce that Paul Eller has accepted the position of Regional Field Manager for the South Central Region. Eller started on March 18, 2013. He comes to OEM from the City of Montrose, where he was the emergency manager and a sergeant with the police department. Access your community’s preliminary flood hazard data in one centralized and easily accessible location. Preliminary data provide an early look at your home or community’s risk to flood hazards. The Federal Emergency Management Agency plans to make this data available on the Map Service Center (MSC) soon. By making this data available on the MSC, nation-wide preliminary data will be in a one easily accessible place along with FEMA’s other flood mapping products and tools. Citizens can now access both preliminary and effective flood hazard data on the same site through the MSC’s quick and easy search functions. Know your flood risk and visit http://www.fema.gov/preliminaryfloodhazarddata for more information. A FEMA Student Identification number is required for everyone taking a FEMA course. If you have not visited the FEMA SID website to register for a new number you must do so before enrolling in another course. You cannot use your social security number as you have in the past. A FEMA SID number is a unique number generated and assigned to anyone who needs or is required to take training provided by a FEMA organization. Your FEMA SID uniquely identifies you throughout the FEMA organization and all of its agencies. The goal is for your FEMA SID to serve as your personal identification number instead of your Social Security Number (SSN) in support of FEMA’s effort to decrease/cease the use of SSN for identifying and tracking individuals. A FEMA SID is required to register for and participate in any training provided by FEMA agencies. All FEMA training providers’ registration systems and enrollment procedures require a valid FEMA SID. Your FEMA SID serves as your personal identification number and merges/links/connects/combines all of your FEMA training records under one account to simplify keeping track of all your FEMA training accomplishments. NFPA’s first Wildfire Preparedness Day of Service will be held on May 4, 2013 in Colorado. The NFPA is calling all those in Colorado to participate in a statewide day of wildfire service. Visit the NFPA Wildfire Safety Blog for specific information on how your neighborhood, community, agency or county can be involved. An official State Proclamation has been issued for the May 4 event. Learn how to protect yourself and safeguard information. Identify resources available to the community. Area agency exhibitors available at event. The event is scheduled for Wednesday, May 8, 2013 from 7:30 a.m. – 1 p.m. at the Lone Tree Arts Center. It is sponsored by the 18th Judicial District Attorney Office. Registration is required by calling 1-877-926-8300. Download the Fraud Prevention and Safety Summit Flyer for additional information. 1. The Time to Prepare is Now. Gather supplies in case of a storm strengthen your home against damage and review your insurance coverage. 2. Only Flood Insurance covers Flood Damage. Most standard homeowner’s policies do not cover flood damage. 3. Plan Ahead. Plan evacuation routes. Keep important papers in a safe, waterproof place. Conduct a home inventory; itemize and take pictures of possessions. The Fire Adapted Communities (FAC) Coalition has released a new report, "Lessons from Waldo Canyon" and a companion video, "Creating Fire Adapted Communities: A Case Study from Colorado Springs and the Waldo Canyon Fire." The report and video are based on interviews, field visits and tours of the City's most affected neighborhoods conducted by the FAC Coalition's assessment team during a three day visit to the area in July 2012. These new resources share the post-fire field investigation, and stress the importance of communities becoming fire adapted. To read the full report visit: http://www.fireadapted.org. Melissa Agnes shared these rules on her Social Media Crisis Communication website this week. It has some great reminders and tips for anyone charged with sharing information using social media. 1. Communications are now a 2-way street, whether you want them to be or not. 2. Real-time is not just a suggestion but an expectation of your audience. An expectation that will not turn in your favor if unmet. 3. Informative is the only way. If you’re not informative somebody else will be – on their own channels that you have zero control over. 4. Listen, listen, listen! Listen to what others are saying, what they’re not saying and where they are and are not saying it. 5. When you combine real-time and 2-way you get responsive. Your audience will be responsive and so must you. 6. Sincerity, honesty and apologies go a long way. But remember: actions speak so much louder than words. 7. Humans dealing with humans. Your brand may be a brand, but it is run by humans communicating with other humans. Act like it. 8. Adaptability and flexibility are highly recommended. Adapt your crisis communications for different platforms and audiences that you need to communicate your messages with and on. 9. Twitter-friendly communications are your friend. For every update, response and statement you release have a Twitter version. 10. Communicate with your staff throughout the entire crisis. Internal communications are key to today’s successful crisis management. The Training and Exercise Program has assigned regional points of contact for each of the nine all-hazard regions. Training and Exercise Program Manager is Beth Roome. View the Training and Exercise Program Information Sheet. The Northeast Region is holding an emergency preparedness class for educational institutions. Multi-Hazard Emergency Planning for Schools is a Homeland Security supported class that will, when applied increase school safety. This is a no cost training opportunity. MCICS 400 Hospital Evacuation and Surge Training is a unified command approach designed to build “Community Interoperability” of Hospitals’ and Public Safety/EMS Emergency Operations Plans (EOP) for Hospital Evacuation. The course is scheduled for April 19-20, 2013 in Wheat Ridge. Register for the course at www.co.train.org or view the MCICS Course Flyer. September: Social Media training offered at State EOC and Western Slope by the National Preparedness Center from the University of Hawaii. 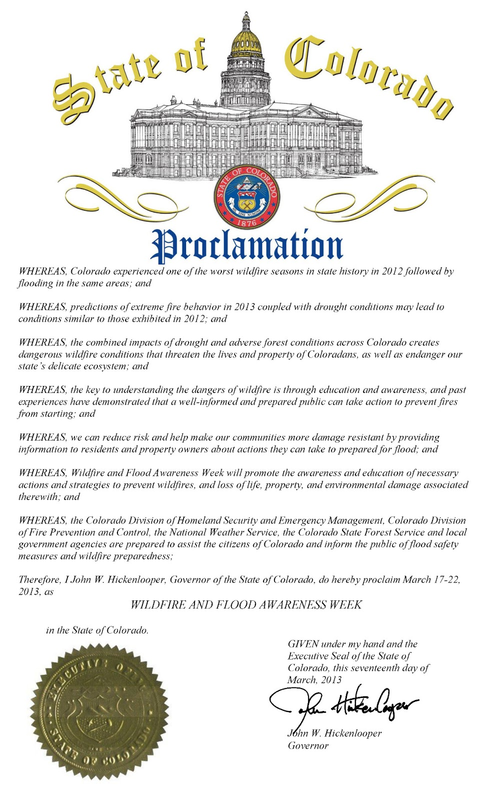 During this Colorado Wildfire and Flood Safety Awareness Week we have discussed floods, flash floods, and how to stay safe when flooding threatens. We also told you that areas burned by wildfires are highly susceptible to flash floods within the first two or three years after the wildfire. Today we will provide you with information about wildfire safety and mitigation that could save your life and minimize destruction to your personal property. All wildfires need fuel to burn, typically in the form of dry vegetation, as often occurs in forests, grasslands, and cured wheat fields. Tragically, some wildfires also kill people and destroy homes, vehicles, and other personal property. If you live near or within a forest, grassland, or wheat field, there are some actions you can take to minimize your vulnerability to wildfires. If you are a homeowner, the first defense against wildfire is to create and maintain a defensible space around your home. Defensible space is the area around a home or other structure where fuels and vegetation are treated, cleared or reduced to slow the spread of wildfire. Creating wildfire-defensible zones also reduces the chance of a structure fire spreading to neighboring homes or the surrounding forest. Defensible space also provides room for firefighters to do their jobs when fighting a wildfire. make sure that hot parts of motorized equipment, such as mufflers, are not allowed to come in contact with dry grasses or other potentially flammable material. If you become trapped or cut off by a wildfire seek shelter in areas with little or no fuel such as rock slide areas or lakes. Colorado Wildfire and Flood Safety Awareness Week continues through this Saturday. Developed for the Department of Natural Resources, Colorado Water Conservation Board (CWCB), the Colorado Flood Decision Support System (DSS) provides a one-stop shop for floodplain and emergency managers for snowpack, streamflow, flood maps, and other related data to allow them to estimate risk and near future conditions up to and above a National Weather Service (NWS) flood warning and alert. The Flood DSS is a web based GIS mapping application that displays a variety of flood-related data, including: historic flooding, critical facilities, community flood insurance information, wildfire risk, and FEMA flood hazard layers. In addition to the regulatory and hazard information, a real-time data component was included, which is useful for assessing current and near-future conditions. The real time data consists of precipitation radar, streamflow conditions, air temperature, gauge measured precipitation, NWS and NOAA radar estimated precipitation products, flood warnings, U.S.D.A.’s Natural Resources Conservation Service (NRCS) SNOTEL data (SNOwpack TELemetry), and the Snow Data Assimilation System (SNODAS) modeled spatial snowpack data. CWCB and HDR’s seasonal Flood Threat Bulletin products are also available in spatial and text format from May to September. Features within the application allow users to find locations by address, provide distance measuring tools, and the ability to identify features for more information. To get started, check out the Decision Support System home page. From here, you can explore the CDSS Map View and Flood DSS and download data. You can also follow the Flood DSS on Twitter at @FloodDSS. Future phases may include incorporating more data layers and possibly even a mobile application for smart phones. Customer feedback and suggestions are welcomed for future phases of Colorado’s Decision Support Systems and can be sent to ray.alvarado@state.co.us or carolyn.fritz@state.co.us. The names roll off the tongue the 2000s have been rough years for fire in Colorado: Hayman Fire, Four Mile Fire, High Park Fire, Missionary Ridge Fire, Waldo Canyon Fire. These are but a few of the fires we have seen in the past 10 to 15 years. Drought and pine beetle damage increase of habitation in the urban interface years of tight fire management have all contributed to the increase of high impact fires. To assist in your preparation for fire potential the National Weather Service provides a variety of fire weather forecast products. Twice a day in Colorado Fire weather planning forecasts are made from each weather service office serving the state. A fire weather watch may be issued if in the next 12 to 48 hours the forecast includes gusty winds of 25 mph or greater relative humidity of less than 15% for at least three hours, dry thunderstorms, or a combination of weather and fuel conditions that may make large wildfires possible. A red flag warning will be issued if these same critical fire conditions are forecast within the next 24 hours. Both fire weather watches and red flag warnings are issued in coordination with land management agencies. For national Type II or Type I fires the national weather service will detail an IMET (Incident Meteorologist) to a fire team to provide onsite weather support and detailed fire forecasts. If you live in the urban interface there are a number of actions you can take to reduce your personal fire threat including reducing vegetation near the home and putting a fire resistant roof on your home. More information is available from your local fire department. This article was provided by the Colorado National Weather Service. The completion of the Coal Creek Flood Mitigation Project with the support of a FEMA Pre-Disaster Mitigation Grant has taken much of the Town of Wellington out of the 100 year floodplain. The Town of Wellington had close to 200 homes, dozens of businesses, and two schools mapped in the Coal Creek floodplain for more than 50 years. It is within the Boxelder Creek Watershed in northern Colorado. Kevin Houck of the Colorado Water Conservation Board noted that prior to mitigation, the regulatory floodplain associated with this watershed contained an extraordinary number of properties. As a result this watershed was one of the more difficult to regulate as well as one of the more potentially dangerous watersheds in Colorado from a flood hazard perspective. The Boxelder Basin has a massive size of more than 265 square miles. Just from the Coal Creek tributary of the Boxelder Basin, 100-year flows of 1,700 cubic feet per second (cfs) were expected through the Town. A number of years ago, a multi-jurisdictional stormwater master plan was completed to address the risk. It identified three regionally significant projects to mitigate the stormwater needs, the first of which was the Coal Creek Flood Mitigation Project to address flooding through the Town of Wellington. The Coal Creek Flood Mitigation Project was designed to intercept flows north of the Town, convey them to the existing Clark Irrigation Storage Reservoir, and temporarily detain a volume of up to 540 acre-feet of floodwater. This required expansion of the Clark Reservoir inlet canal and the addition of flood storage within the reservoir. The original estimated project budget in the master plan was $6 million to $8 million. In order to make the project feasible from both an engineering and financial perspective, the team developed an innovative and multi-pronged approach to create the necessary storage in Clark Reservoir. 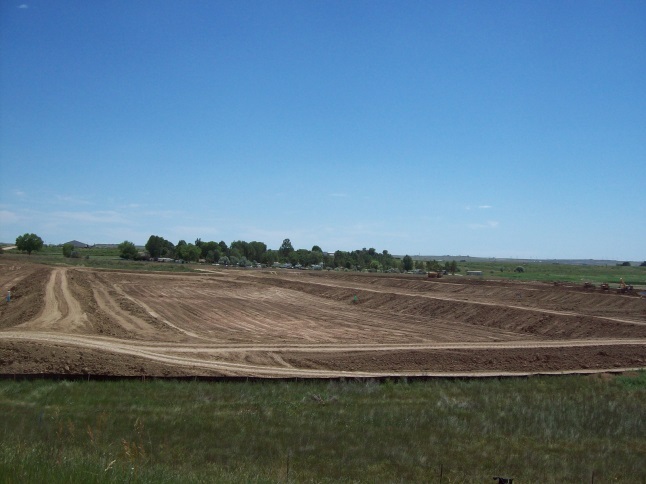 This included raising the emergency spillway to add 175 acre-feet, dredging to add 100 acre-feet, and developing a “shared storage” agreement with the owner of the reservoir, North Poudre Irrigation Company, for the remaining 265 acre-feet. The shared storage concept involves the irrigation company limiting the amount of irrigation water it stores during the May-through-September flood season such that 265 acre-feet of storage is available for stormwater. This innovative approach also avoided potential impacts to more than 12 acres of wetlands. The Federal Emergency Management Agency (FEMA) agreed to the concept as long as it was included in an Operations and Maintenance Agreement between the parties. 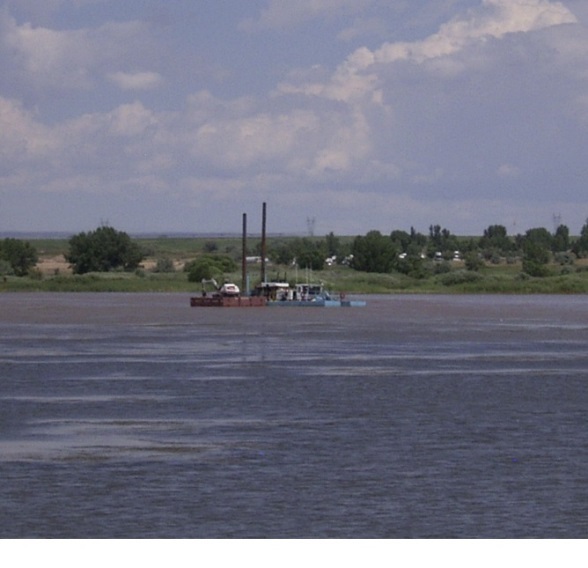 The construction of the project included dredging 170,000 cubic yards of sediment from Clark Reservoir. 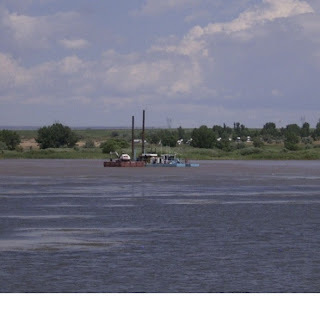 The material was dredged and pumped about a mile to the north and dewatered in a series of dewatering cells, with the return flow brought back into the Clark Reservoir. The final project cost was $5.1 million. 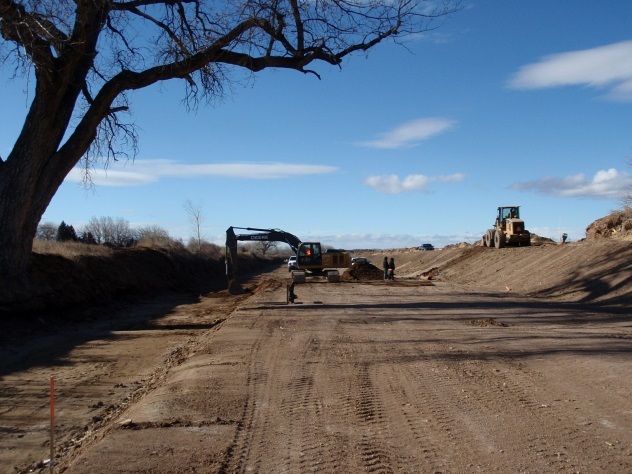 A FEMA pre-disaster flood mitigation (PDM) grant administered through the Colorado Office of Emergency Management provided $2.9 million in funding for the Coal Creek project. The remaining $2.2 million was paid for with matching funds from stormwater fees collected by participating jurisdictions Wellington, Larimer County and the City of Fort Collins. Larimer County managed the project with consultant Ayres Associates providing engineering services. The project was completed within one month of the three-year PDM grant period. 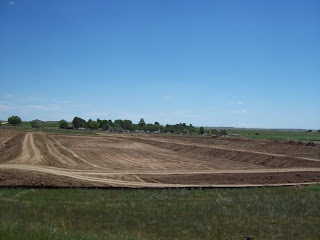 The Boxelder Basin Regional Stormwater Authority will operate and maintain this component of the flood control project. The revised floodplain mapping became effective February 4, 2013. The Coal Creek Flood Mitigation Project practically and economically accomplished the goal of benefiting the occupants of nearly 200 homes, two schools, and several dozen businesses in the Town of Wellington by protecting them from the 100-year Coal Creek flood flows. Colorado Emergency Management Association (CEMA) has partnered up with the Nuggets to provide a night for First Responders, Emergency Managers and related agencies. Today's topic during this flood safety and wildfire awareness week is flash floods. Flash floods are no strangers to Colorado. Close to 300 people have been killed in flash floods across the centennial state since the year 1900. The worst flash flood occurred on July 31, 1976 in the Big Thompson Canyon between Estes Park and Loveland. A nearly stationary storm produced around 12 inches of rain in 4 hours and claimed 144 lives. The 1904 incident, just north of Pueblo that drowned just over 100 people as a bridge failed and plunged a train into Fountain Creek. The 1997 Fort Collins episode killed five people and caused $200 million in property damage. A flash flood is defined as a rapid rise in water levels generally occurring in less than 6 hours along large creeks normally dry washes, arroyos or over normally dry land area and can occur with little advanced notice. Flash floods frequently result from high rainfall rates and infrequently from dam failures, levee failures or sudden breaks in river ice jams. Flash floods are very destructive due to the force of the moving water and the accompanying debris. This tremendous force can easily damage or destroy roadways, bridges and buildings. In recent years, Colorado has seen major flooding and damage when heavy rains have occurred on wildfire burn scar areas. If you are in or near a burn scar area you need to plan ahead. Be aware of general flash flood plans and procedures that have been developed and implemented by your local emergency management officials. It’s up to you. You should know your flash flood risks and make your plan to save your life and those around you. The National Weather Service Forecast Offices will discuss flash flood potential in daily hazardous weather outlooks and in graphical weather stories on National Weather Service forecast office web sites. During days when flash flooding is likely or occurring a flash flood warning will be issued. When a flash flood warning is issued for your area you need to act quickly if you are in a drainage area or in other low spots. Know your escape routes to higher ground and act as quickly as possible. It may be just a short walk or climb to that higher ground. Many flash flood deaths occur in vehicles. Do not drive through a flooded roadway. The water may be much deeper than you think because the roadway may be damaged or washed away. One to two feet of water will carry away most vehicles. Instead turn around don’t drown. This article is provided by Colorado's National Weather Service. The approximately 1348 acre Galena Fire is now considered to be 85% contained. All pre-evacuation notices have been cancelled but residents are advised to remain alert for changing conditions. Both Type 2 helicopters flew this morning but were grounded this afternoon due to the winds. One of the helicopters has been released and the other one will continue to work the fire tomorrow, weather permitting. Winds are expected again tomorrow. The 130 firefighters were able to complete the hand line on the western perimeter today as well as securing other lines. Five miles of hand lines have been completed. Some mop-up operations were started today. The investigation into the cause of the fire is close to being complete. The fire has been determined to be human caused but was NOT a result of a campfire, a controlled burn or a prescribed burn that escaped. Details will be made available as soon as the investigation is complete. No structures have been destroyed. Two firefighters suffered minor injuries due to the steep terrain over the weekend. Both were treated and released from a local hospital. There were no injuries reported today. Lory State Park and Horsetooth Mountain Park both remained closed on Monday due to the fire.